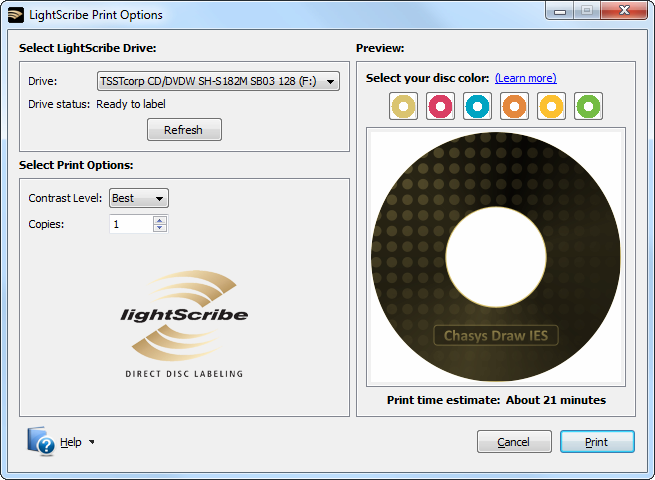 LightScribe is a technology from HP that uses your CD/DVD drive to print images directly onto the label side of your discs. After you've burned your music, photos or data onto your disc, you flip it over, put it back in the drive and print an image onto it. LightScribe uses specially coated CDs and DVDs to produce laser-etched labels with text and graphics, as opposed to stick-on labels and printable discs. LightScribe-compatible CD/DVD drives and the specially coated discs they use are marked as such using the LightScribe logo, shown above. 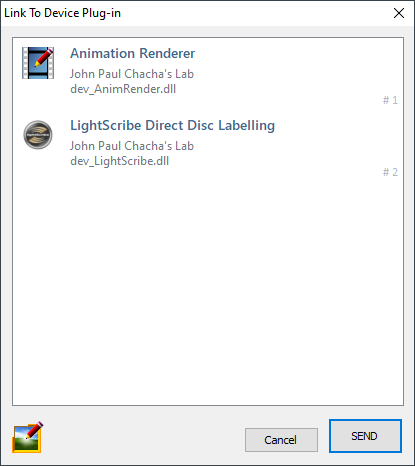 How do I use LightScribe? Once the printing process has started, you can return to Chasys Draw IES and continue with your work; the printing process will continue running in the background.